Evil Plans. 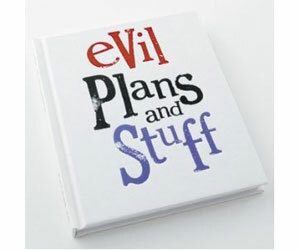 We’ve all got them, but the question is where to keep a note of them when a new diabolical plan comes to mind? Well now there will be no forgetting where you left that design for that hollowed out volcano with its own monorail system.